KINSHASA, Congo — As votes were counted Monday in Congo’s long-delayed presidential election, the internet was cut across the vast Central African country, apparently an effort by the government to prevent social media speculation about the results after a day of voting marked by numerous delays and problems. The country’s two major observer groups deplored the shutting down of the internet and Bishop Abraham Djamba, head of the Symocel observation mission, asked the government to restore it. The official results are to be announced on Jan. 15, although preliminary results are expected within a week. 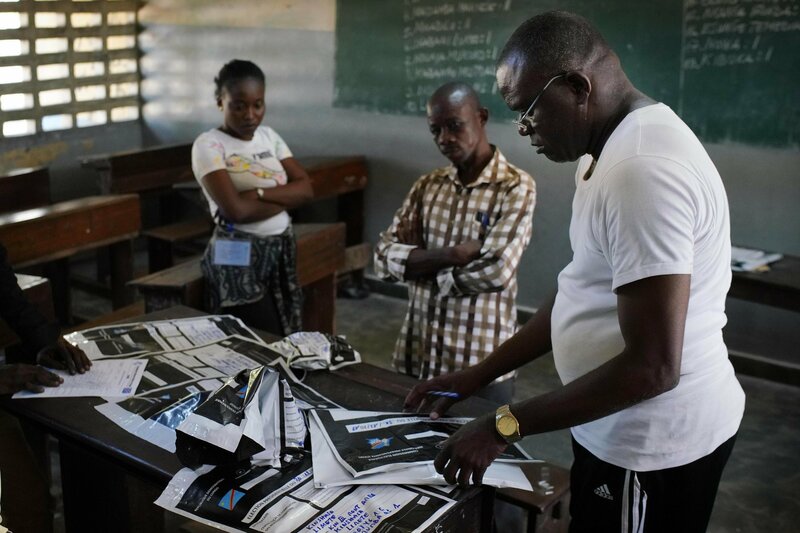 The ballot counting and compiling is taking place after an election day beset by problems but in which many Congolese showed a calm determination to register their votes. Election observers reported multiple difficulties in voting in which more than 40 million were registered to cast ballots for a successor to President Joseph Kabila, who is stepping down after 18 years in power. The election had been delayed since late 2016, prompting the opposition to charge that Kabila was trying to stay on past his mandate. On election day, hundreds of polling centers were not able to open because they did not have the needed lists of registered voters, many voters could not find their names on the voters’ lists and there were problems with more than 500 of the electronic voting machines. Many polls stayed open in the night to allow those waiting in line to cast their ballots. At least one Kinshasa polling station only managed to open after the official closing time. The election is hoped to enable Congo to have its first peaceful, democratic transfer of power since independence from Belgium in 1960. Among some 21 candidates, top opposition leaders Martin Fayulu and Felix Tshisekedi are challenging Kabila’s preferred successor, former interior minister Emmanuel Ramazani Shadary, who is under European Union sanctions for a crackdown on people protesting delays to the election. At stake is a country rich in minerals including those crucial to the world’s smartphones and electric cars, and yet Congo remains desperately underdeveloped with widespread corruption and insecurity. Citing the current Ebola outbreak in eastern Congo, the Kabila government postponed voting in the cities of Beni and Butembo until March, long after Congo’s new leader is inaugurated in January, effectively cancelling the votes from those two cities, centers of opposition support. Kinshasa resident, Parole Kamizelo, 31, said he is disappointed in the disorganization of the election.